Investing in property with your trusted family members has the ability to thrive, or the power to destroy – and the key is all in the foundation you start from. Who might this arrangement appeal to? Those looking for security and guidance in a partnership. In these cases, a joint venture could be a smart move. It’s easy to be swept away on the tide of excitement and forget that mixing business and family requires very firm guidelines, however. Yet your top priority should be keeping peace and harmony in the family. 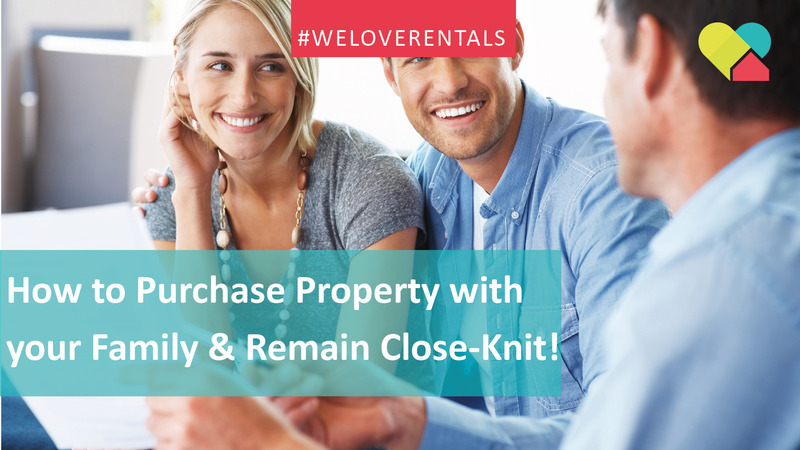 There’s no point in buying a property together if you can’t agree on why you’re buying it. Make sure you agree on the purpose for buying, and the length of time you intend to hold the property for. Our attitude to money varies depending on when we were born. Baby boomers were taught to save, Gen X and Y taught to invest, and the Millennials taught to spend. Expect that your goals might be different, as well as your views on debt and savings. Talk through the investment process first to make sure you’re all on the same page when it comes to money and how to use it. People can be dominant or mild, stubborn or sensitive, and in families these traits aren’t often held back. If you have strong personalities within the family, it might be worth considering a clause that states all decisions must be unanimous, or have a third-party mediator like a property expert to weigh in when a decision can’t be made. Investment chat – especially of the disagreeable kind – isn’t for Grandma’s birthday or your sister’s wedding. Schedule regular meetings that are for business purposes only and ban talk from all family gatherings. It’s easy to fall into the trap of verbal agreements when you’re investing with people you love. But if you truly value your family ties, put your business plan on paper so everyone is on the same page from the outset. An end-clause for when a party wants to leave the investment. Planning for every possible scenario is much easier before there’s hundreds of thousands of dollars riding on the decision. For example, what if someone can no longer afford the payments? What if the house needs repairs? What if a buyer offers to purchase the property far above market value? Let your imagination go wild – better to be prepared than pay for it down the line. Always keep in mind that family comes first. Plan carefully, and your co-venture can be incredibly successful. Fail to plan, and your family could be paying the price for a long time. When you have made the leap and are looking for property management with passion, be sure to call us on 08 6254 6300 for your free rental property appraisal. For property management in Perth, you can’t get better!